Rebuilding Place in the Urban Space: Electric vehicles and city charging infrastructures: could car sharing be a way to drive changes more quickly? Electric vehicles and city charging infrastructures: could car sharing be a way to drive changes more quickly? 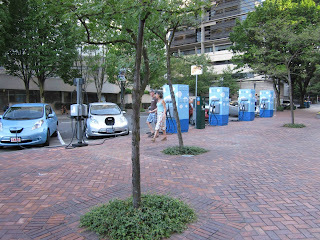 Electric Avenue in Portland has five charging spaces. There are fees to use the chargers, which include 4 DC fast chargers with CHAdeMO and Combo plugs, and two AC Level 2 terminals. In 2014, I wrote a piece "Electric vehicles and critical mass," about the general issue of how to support the more widespread adoption of electric cars. 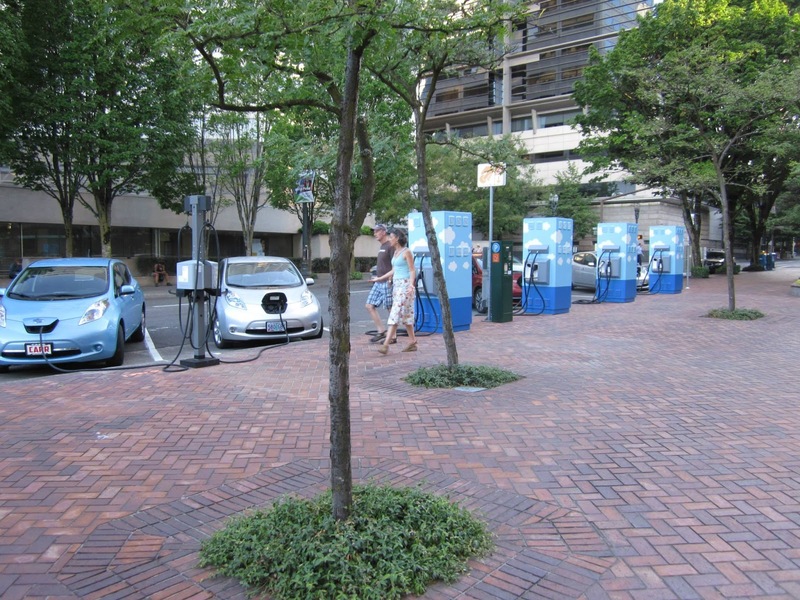 The article discussed electric vehicle associations as promoters as well as Portland's "Electric Avenue," a street block remade over with e-charging infrastructure. One of the policy drivers emphasizing electric cars is it reduces demand for oil sales and the impact on countries often at odds with the United States foreign policy establishment, like Russia, Iran, Saudi Arabia, and Venezuela ("The electric car industry could take a bite out of oil demand," CNBC). In Norway, a large oil producing company, the state oil firm and a major Canadian-based convenience store chain are experimenting with how to reposition "gas stations" ("Gas Stations Get Ready for the Electric Future," Bloomberg; "Couche-Tard looks to Norway for guidance to adapt to electric cars," CBC-TV) in the face of an automobile industry that shifts to electric cars. And electric cars require little maintenance, putting pressure on auto repair firms and employment ("Will electric vehicles doom your neighborhood auto mechanic," Chicago Tribune). I am aware of various electric vehicle car sharing schemes, such as in Paris, which I first wrote about in 2011 ("World class cities and the development of new transportation technologies: Paris and electric cars") and Blue Indy ("BlueIndy car-sharing program striving to be in black by 2020," Indianapolis Business Journal) in Indianapolis, which is run by the same firm, Bolloré Group, using the same cars as in Paris, and the Green Spot program in Jersey City ("Eco-friendly car-sharing service opens in Jersey City," Jersey Journal). But I hadn't really thought about more wide spread car sharing programs as a way to drive the propagation of an e-vehicle charging network across a city, especially given the failure of Car2Go's electric vehicle program in San Diego ("Car2Go switching electric cars to gas in San Diego" and "Car2go ceases San Diego operations," San Diego Union-Tribune). Note that I drove an E-Car2Go in San Diego and it was a dream to drive. With the auto industry, it took about 30 years to truly scale up, and in that time a network of roads had to be created, a system of garages/repair facilities, gas stations, a dealer network, places to stay if you traveled (motels), road maps, etc. in order to be able to get around beyond your immediate neighborhood. Relatedly, the technology of the automobile had to be improved so that you didn't need to be a mechanic yourself in order to keep it running. The problem doing e-car share in a place like Indianapolis is that it doesn't have a well developed platform for sustainable mobility. Transit is a hard sell there. Car sharing, let alone using electric vehicles, is that much harder to promote. My sense is that Bolloré Group chose to go there because they were invited, not because they were thinking "what is the best place we can go to in the U.S. to launch our system in the best possible way there is to accelerate adoption of this program?" Even San Diego probably lacks the right density and relatively short distances between residential areas and activity centers to make car sharing (or bike sharing) work, even though the city has a widespread rail and bus based transit network. On the other hand, there are cities like DC which have deeper sustainable mobility platforms as well as experience with and success in car sharing. I happen to be a fervent believer in the Car2Go one-way car sharing program because the small cars are particularly easy to park a definite plus in constrained parking situations. 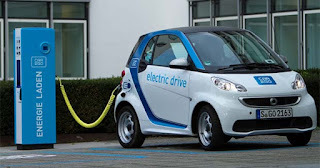 But in the US, Mercedes stopped selling gasoline powered versions, although they are continuing to sell the electric motor version ("Mercedes to stop selling gas-powered Smart car in the U.S.," USA Today). 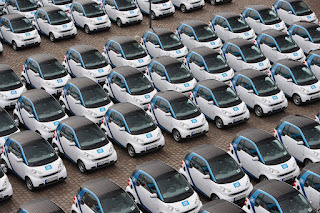 Does that mean that in the future the small car2go vehicles will be discontinued, making the car2go car share "competitive advantage" of being able to park in space constrained places go away? Could e-car sharing be a way to push the development of e-charging, but in a city with better conditions supporting e-car adoption. 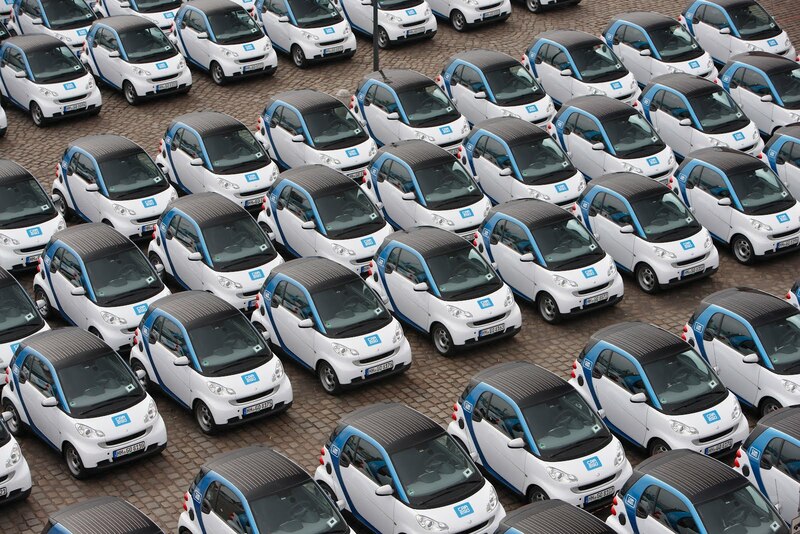 To keep small cars as part of the Car2Go car sharing fleet, the company could switch to the electric versions, if a city has the charging network necessary to support it. The reality is that no city has a widespread charging network capable of supporting 600 (DC), 750 (Seattle),or 1,100 (Vancouver) cars, each requiring a charge at least a couple times/week, needing to access electricity charging in public spaces. Why not use such a car sharing network of vehicles as a way to drive improvements to the e-charging infrastructure across a city? Car2Go cities like Portland, Seattle, and Washington would be the best place to try this, although Car2Go has already removed SmartCars from the fleet there. New York is probably too tough and Columbus and Denver, like San Diego or Indianapolis, don't have the right support conditions although Columbus is just starting to provide free bus passes to downtown workers ("45,000 Downtown Columbus Workers Eligible for Free Bus Passes," Associated Press). Interestingly, this idea is comparable to how the electricity generation industry got started. 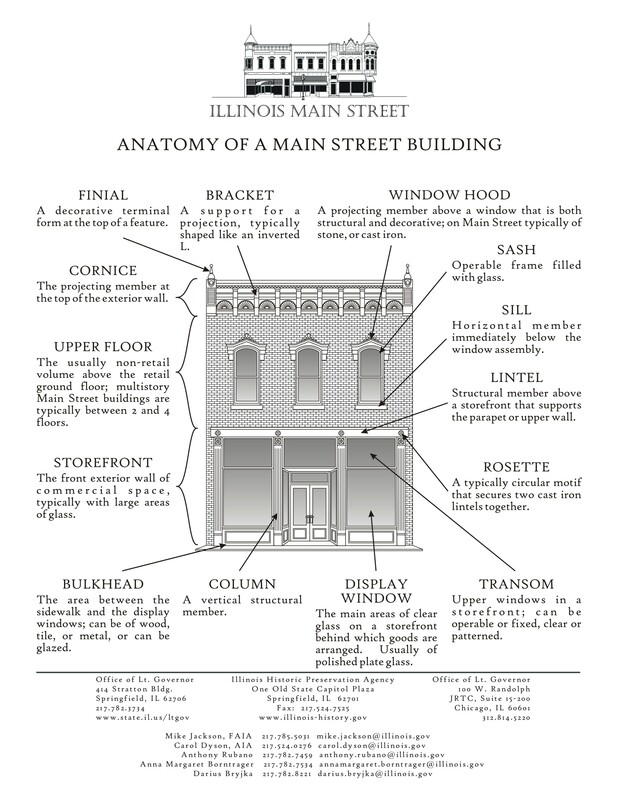 It was expensive to wire individual houses, so instead companies focused on getting large industrial customers. One such customer was streetcar firms, which is why electricity companies often owned streetcar companies too, until the practice was outlawed. 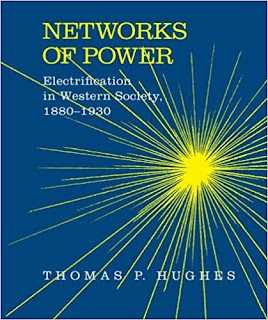 Having large customers led to the installation of basic utility infrastructure, and once that was in place, it became much cheaper to provide electricity connections to the housing districts that lay in between power plants and large industrial customers. 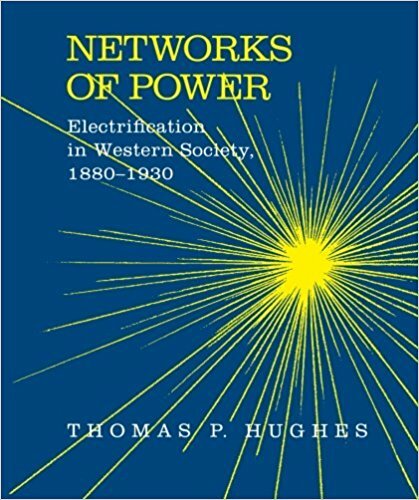 This likely is the right model for the creation of widespread e-vehicle charging systems, with larger (relatively speaking) customers, car sharing firms maybe complemented by other business users, driving the development of e-charging networks ("From Firm to Networked Systems," Thomas P. Hughes, The Business History Review, Vol. 79, No. 3 (Autumn, 2005), pp. 587-593). 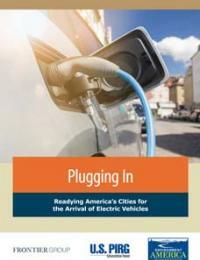 Environment America report on cities and electric car infrastructure. Last month, Environment America released a report, Plugging In: Readying America’s Cities for the Arrival of Electric Vehicles, on what cities need to do to support the widespread adoption of electric cars. There is a good discussion about the different types of chargers, what cities are doing, and yes, that car sharing can be a way to drive e-car use forward, using Indianapolis as an example. Streetlight modernization programs as a way to drive e-charging network development. Many cities are looking to modernize streetlights to save energy and add other features such as wifi, public safety elements, traffic monitoring, etc. The Environment America report mentions London and Los Angeles as examples of using streetlights for e-charging. The report mentions a program in London that will install charging points on streetlights called the "On-street Residential Chargepoint Scheme" and a fund to pay for it ("Want an electric car charge point on the street outside your house? There's a £2.5m pot, but the catch is you have to apply though your council," This is Money). The Urbicity equipment in use in London. The London program has been developed by a German firm Ubitricity, which is working with various boroughs to install charging equipment in streetlights, paid for in part through simultaneous upgrades to the lights with LEDs, and the anticipated cost savings ("London street lamps are being turned into electric car charging points," Independent). The advantage of using existing streetlight "networks" is that separate infrastructure doesn't have to be created which further clutters the sidewalk and curb zone. 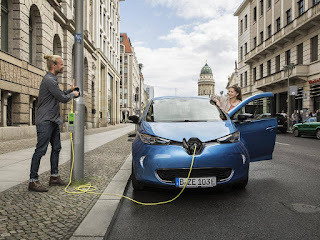 While the basic connections that can be installed cheaply are not particularly fast charging, it is a way to deploy much more quickly ("How We Could Put An EV Charging Station On Every Lamp Post: The key: use regular outlets instead of high-speed charging stations,"Fast Company). Owners of hybrid and electric cars can order a charging cable with an in-built electricity meter and will be able to charge their vehicles using lampposts in areas of Barnes, Hounslow, Twickenham, Kensington and Westminster. The charging points offer a solution to the challenges of installing dedicated EV parking bays and removing parking spaces from the general supply, by giving residents who do not have access to off street parking the opportunity to charge their cars locally. However, the sockets offer lower power charging. Los Angeles is testing such a pole too ("Los Angeles has a streetlight that can charge your car," Government Technology). So far, LA's Bureau of Streetlighting has installed 82 car charging points. Cutting costs by offering car sharing users the opportunity to be "ambassadors." Bike sharing systems in Paris and New York City have programs that reward users for rebalancing bikes to challenging locations. CitiBike calls its program Bike Angels ("New York's Citi Bike pays riders to make it run better," Slate; "Hacking the Citi Bike Points System, New Yorker Magazine). The early car sharing service Flexcar which was merged into Zipcar had a similar program, rewarding users for putting gas in the car, etc. When Zipcar took Flexcar over, they dropped the perks. E-car sharing operations could train a set of members as ambassador-chargers empowered with the ability to take cars to locations where they can be charged, to aid system up-time, in return for similar kinds of rewards. This makes it cheaper for a company to deploy the cars, which require more careful monitoring and refueling to stay charged. And paying people to do that costs a lot of money--and increases the cost to use the service. Such a network in DC would also include Arlington. The DC Car2Go system includes Arlington County, Virginia. I don't know if the 600 car number refers to both DC and Arlington, or DC only. The license in Arlington allows for a total of 100 vehicles, but cars in DC can be driven to and left in Arlington and vice versa. Ideally an electric car based Car2Go network could be extended to the Bethesda and Silver Spring town centers in Montgomery County and Alexandria as well, creating a more extensive "platform" for sustainable mobility but in terms of the one way car sharing element and for a public e-charging network. 1. I think you are overestimating the problem of using regular 110v vs dedicated chargers. I have no idea what power is running to streetlights, I'm guessing 220. Depending on the car, 110v is just too slow. A tesla (very big battery) might take 1-2 days to charge up. Even a little smartcar would take a very long time (7.6 kWh battery, I'm guessing that would be about 8-10 hours). Now hybrids would be interesting with 110 -- they have much smaller batteries and could be charged up in 2-3 hours on 110v. 2. So to run a car share, you need 220v chargers. Then you've got electric costs, billing, etc. 3. DC did get money fro the settlement, but is spending it on electric buses rather than charging stations. I like the electric bus, but might be a better spend on charging stations. 4. You need some very large grants to multiunit. I'd love to put chargers in at our building -- but the cost would be well over 50K for 5-8 chargers. Probably more since it is quite a bit of wiring work. But yes even turning streetlights into charging stations would be a huge start. I've pushed for chargers to be included as a PUD CBA -- but very little interest from developers, and as I said it is very costly to retrofit. don't disagree with your points. 2. Should make charging accommodation a requirement for parking within multiunits regardless. But that way they wouldn't be accessible to outsiders, but don't need to be. I agree that retrofitting is wasteful. The same argument I make when it comes to high quality bike parking too. 3. I don't understand DC as it relates to PEPCO. Back in Michigan, in Maryland and other places, there are a lot more business generation-energy efficiency initiatives as part of PSC orders/agreements. Does disconnecting transmission from electricity sale disincentivize the local utility from caring about this kind of stuff? Like the fund in London, yes, there should be a fund to support "sustainable mobility" investments in multiunits. Bike parking, car share accommodation, e-charging. Not sure what else can be included. It's worthy of a separate piece. And I need to read the EA report. All I did was skim the executive summary. I wonder if it has discussion about multiunit parking accommodation. 3. but with Tesla and fast charging, I say don't focus on that, it's the most complex. Focus on hitting a large portion of the market with stuff that's do-able. Although will the fast charging be part of the Model 3? That would change things. The issue isn't the fast charging; it is the size of the battery. Technical note -- actually the chargers are built into the car. All you are providing on the outside in a source of electricity. All tesla have DC fast charging. Proving DC electricity is hard. Basically tapping into the main DC lines. Dangerous! The usual 220v chargers can do the trick, but with a battery the size of Tesla that is really overnight charging. Or with a smartcar maybe 3-4 hours. I don't think car2go can afford to have the cars down for that period of time. Maybe overnight. A DC charger for a car2go would charge it 15 minutes, but you'd start to kill the battery (fleet mangers would care) and again not easy to install DC chargers (can't do it on the street). OK. Good to know about the charging infrastructure being in the car, but that the behemoth boxes have to do with what kind of power level and DC vs. AC. Yes, were I a fleet manager, I'd want to minimize the number of batteries I had to replace. ... the whole point of my ambassadors idea would be to do that kind of charging overnight. E.g., there are 2-3 people using car2go on our block. Each household could bring a car home overnight and charge up. There is the rebalancing issue though. But in the core, there'd be lots of people wanting to participate and likely plenty of places to charge up, were this incorporated into the street light modernization program, along with Car2Go, Bollore Group, GreenSpot, etc. I am trying to do an interview with the ceo of GreenSpot, which I will run as a follow up. to encourage use, Salt Lake City is no longer charging fees for use of public charging stations. OTOH, they have serious air quality problems. Utah Clean Energy releases Electrified Transportation Roadmap, 25 recommendations for local govts. Autolib in Paris was losing money. The company asked the municipalities to pay toward the debt. The municipalities refused and the service shut down in July. Membership dropped. Usage didn't grow enough. Probably given the density of transit + the competition from taxis/ride hailing was too much, especially with the higher maintenance (charging) required. Also the municipalities say that Bollore Group overcharged the service for various services, like software. Paris shifted to a new program run by Renault, which has fewer cars and not dedicated spaces with chargers.